How about some Chemotherapy for Corruption? The new government in India has promised to cut red tape and substitute it with a red carpet. This is a great promise, but one has to wait and see how it actually unfolds. 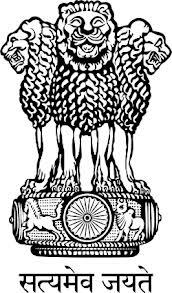 India has a federal structure in place. So, unless states come on board, wannabe entrepreneurs might still be found running from pillar to post negotiating their way through the dense maze of policies, procedures and rules at all levels. A major MNC recently stated that as many as 167 approvals were required before its project could see the light of the day. The Doing Business 2013 report of the World Bank ranks India at 134 out of 189 countries in ease of doing business. India has questioned the methodology of the World Bank. This could satisfy the ego of some patriots amongst us. But the stark reality is that the costs of setting up and running a business in India are unreasonably high. One also needs to consider the fact that India’s infrastructure is anything but world-class. There is a mismatch between the skill set available in the labor market and the needs of the industry. Policy framework is inconsistent, giving rise to a sense of uncertainty in the mind of investors. Add to this India’s poor record in enforcing contracts due to legal delays and the tendency to slap taxes on a retrospective basis, and the high level of discomfort experienced by investors can be readily explained. One of the most serious stumbling blocks to India’s growth story is the widespread corruption. Businesses which are driven by pure greed find this rather handy. But those which stand by business ethics and operate within the paradigm of a value system detest this scenario. The latter surely deserve all the encouragement they can get. 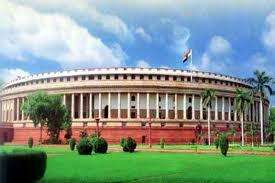 The new government in India would do a great service to the nation by seriously cracking down on corruption. Some baby steps do appear to have been taken, but these do not attack the root cause of the problem. It is good to chase black money stashed abroad. But steps need to be taken to stem the rot at the root level itself. Political funding needs to be brought on a transparent plane. This can only be done if there is a clear message that witch-hunting of businesses, especially in case of a change of regime, would not take place. Suitable changes in India’s taxation laws would also help. Till the time political expenditure remains obscure, red tape would continue to hinder the country’s growth. Bureaucracy performs a critical function. Safeguards can be improved. A well thought-out stick-and-carrot policy can be introduced and then ruthlessly implemented. This would ensure that the tendency of some to seek rent for grant of mandatory approvals is curbed. A strategic policy for use of natural resources needs to be announced and implemented. It is not only about mineral resources but also about India’s rivers, airwaves and other bounties of nature. Real estate sector needs structural reforms. A stronger MIS system is the need of the hour. Uniform rates of stamp duties attracted by property transactions across the country would go a long way in creating a level-playing field. Administering collections and detecting frauds would also become easier. Pushing through DTC and GST would result in better revenues. This would give the government better leeway to reduce taxes across the board. In turn, this would improve Indians’ collective honesty levels. On their part, businesses also need to do some soul-searching. By raising the bar higher on the compliance front, they could improve their market valuation. Their brand image is bound to get a makeover for the good. In turn, this helps them to attract more business as also more skilled employees. Once a demonstration effect sets in, the government machinery would also develop confidence and stop viewing them through a jaundiced lens of suspicion. Instead, this would enable the government to go ahead with self-certification in several areas, thereby utilizing its own human resources better. All of these are bitter pills to swallow. But unless this pain and suffering of chemotherapy and surgery is undergone, the cancer of corruption would continue to thrive. 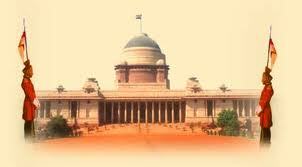 A strong political will alone can achieve this cure of the Indian system.